Beautiful sunshine day with calm seas both inshore and offshore. 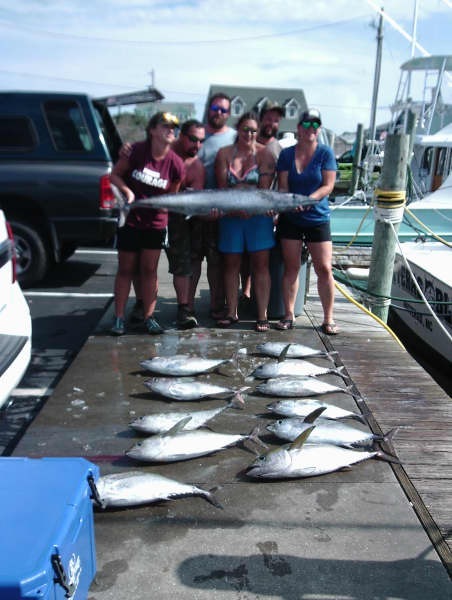 Offshore boats were finding the troll bite on the slower side with Wahoo, Blackfin and Yellowfin Tuna with a few Dolphin mixed in. 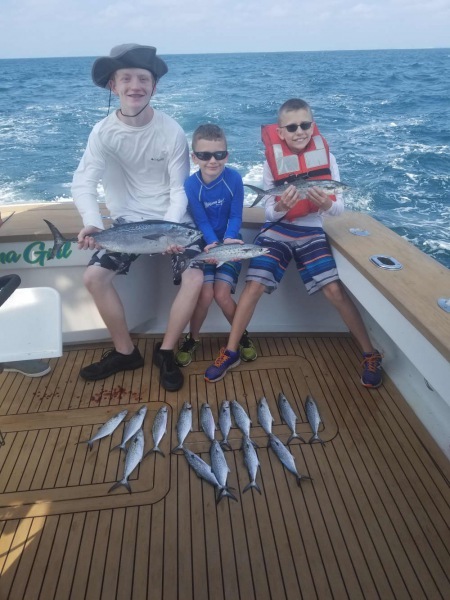 The bottom bite was better with catches of Triggerfish, Sea Bass and Grouper. 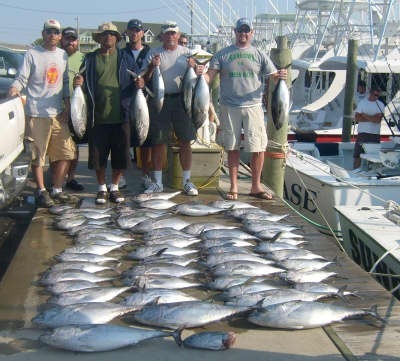 Inshore and Nearshore boats found Spanish Mackerel and Bluefish. 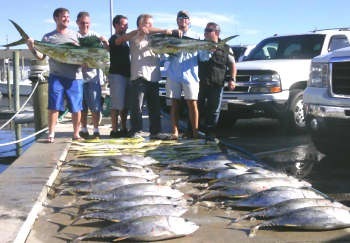 The wind has come from the NE the past few days and it's made a difference with temperatures as well as fishing! 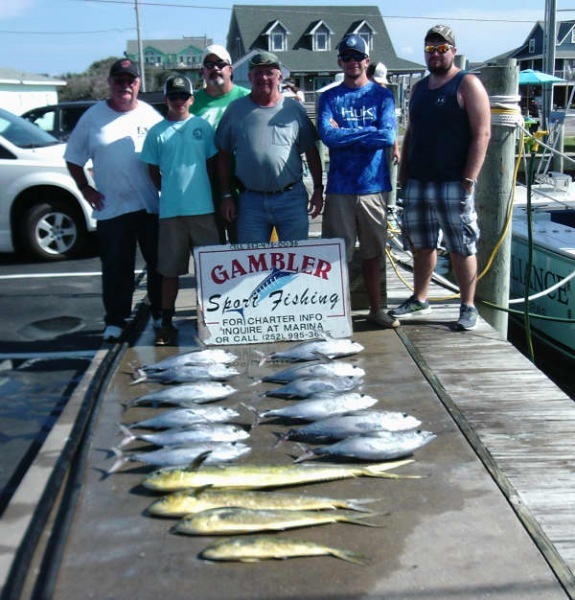 Flounder have moved into Pamlico Sound and kept anglers busy this morning. Some groups went clamming and returned with limits. 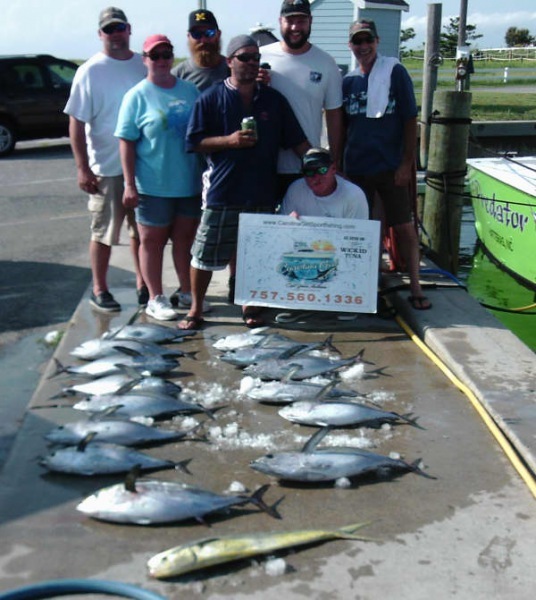 Offshore boats returned with good catches of Blackfin Tuna, a few Dolphin, and fair catches of Wahoo. 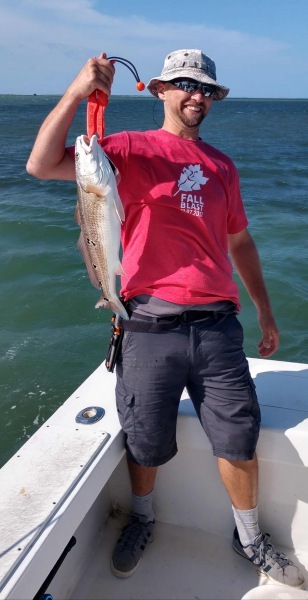 Bottom fishing was good with nice catches of Tilefish. It was a beautiful day to be out on the water. 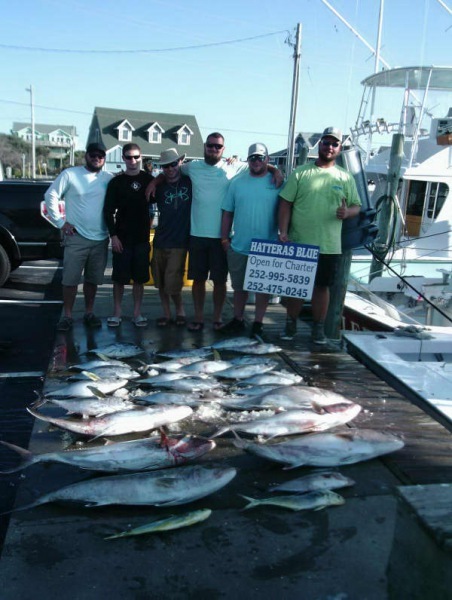 Give us a call at 800-676-4939 to book your fishing charter - with schools back in session things have quieted down and it's a great time to visit Hatteras Island! Robert Richmond of Murrells Point, SC: 11 lb. Gray tilefish on Good Times. Doug Richmond of Woodbridge, VA: 11 lb. 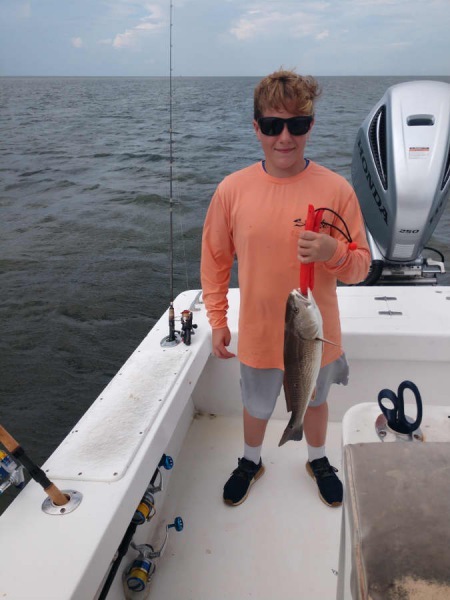 Gray Tilefish on Good Times. Ryan Roller of Clover, VA: 40 lb. 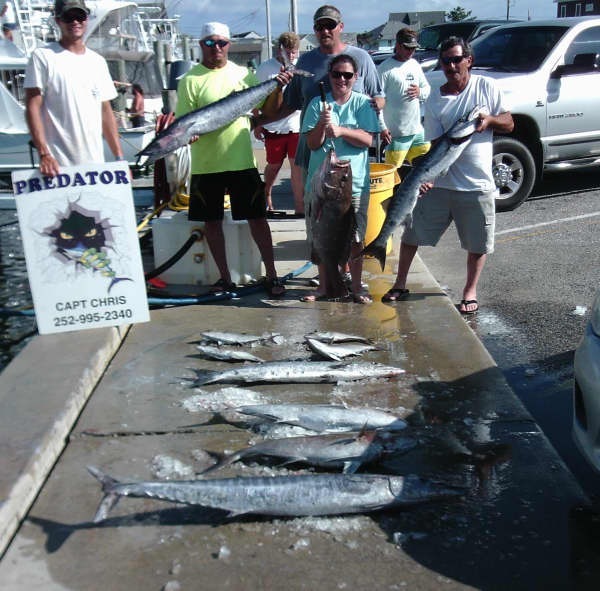 Wahoo on Big Eye. Kerri Barnett of Frisco, NC: 38 lb. Grouper on Predator. Davy Gene Stephens of Garner, NC: 65 lb. Wahoo on Sundown. Slow fishing Offshore today with several boats out fishing. 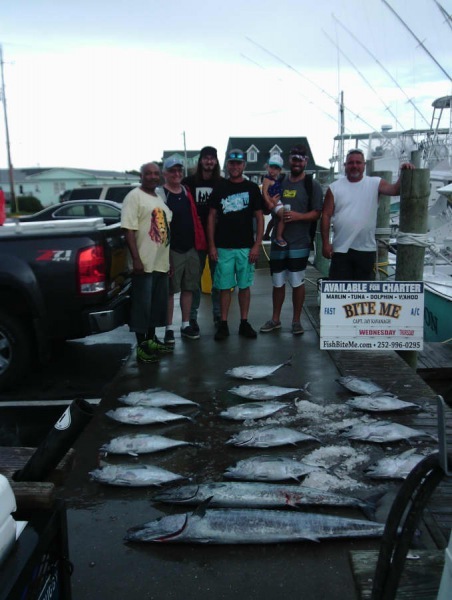 Hatteras Blue released a White Marlin. 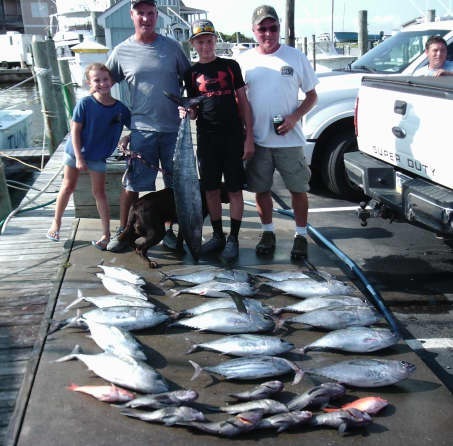 There were decent Wahoo catches, a few Blackfin Tuna and Dolphin. 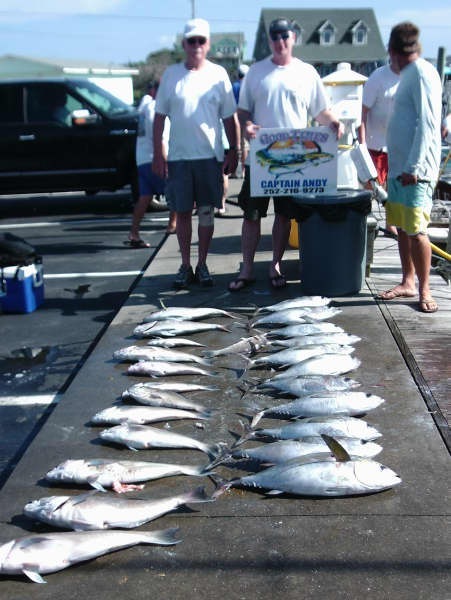 Triggerfish and Amberjack were in good supply. 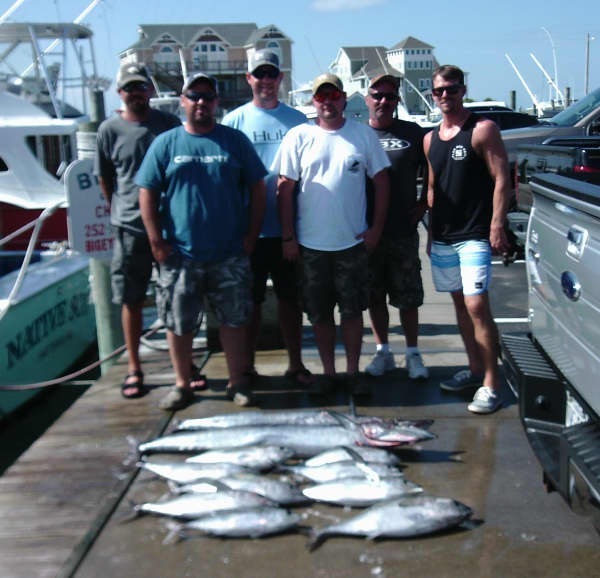 Offshore boats out today had excellent catches of Wahoo followed by Blackfin Tuna. 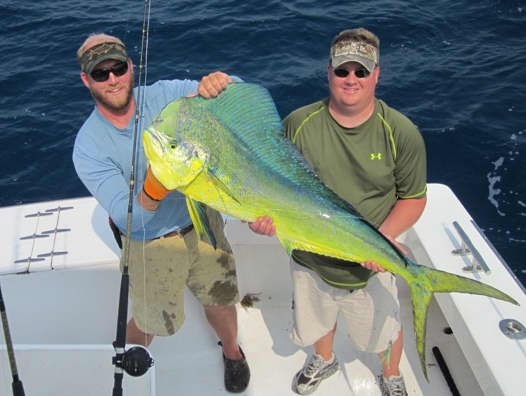 Lighter on the dock were some Dolphin and Triggerfish. 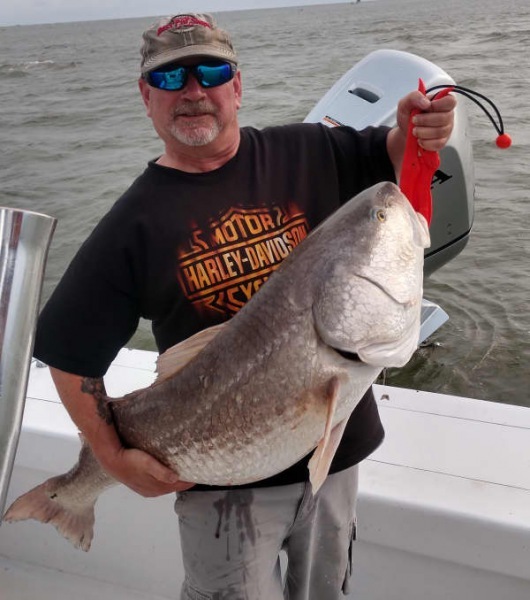 Inshore boats were seeing some giant Red Drum in the sound, check out those citations! 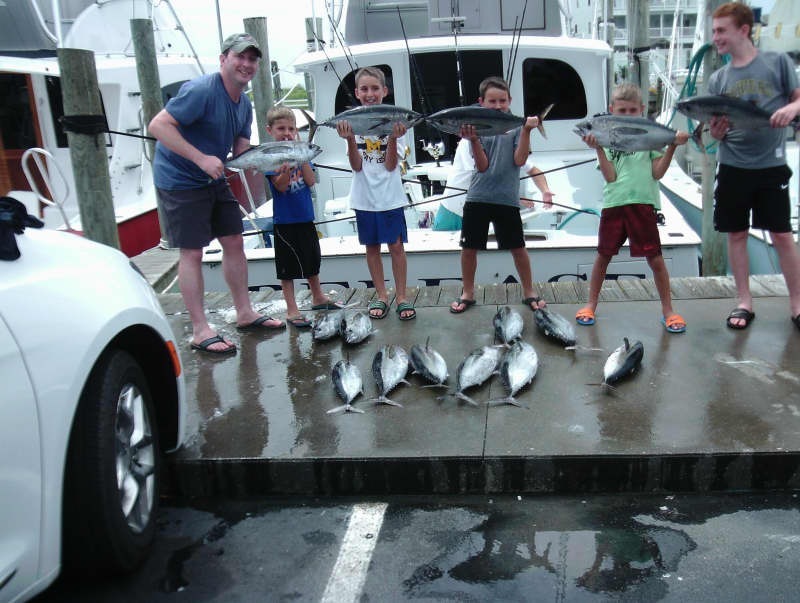 Nearshore boats just fishing off the beach were finding Spanish Mackerel and Bluefish. 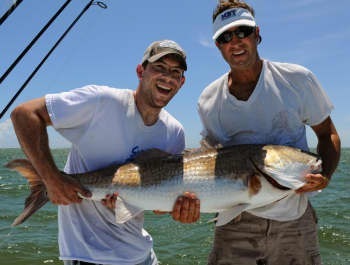 Tradition: Troy Mayclim of Rye, NY released a 47" Red Drum. 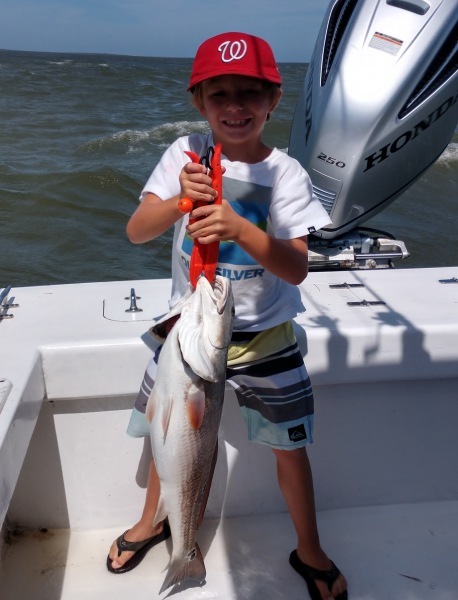 Nash Mayclim of Rye, NY released a 43" Red Drum. 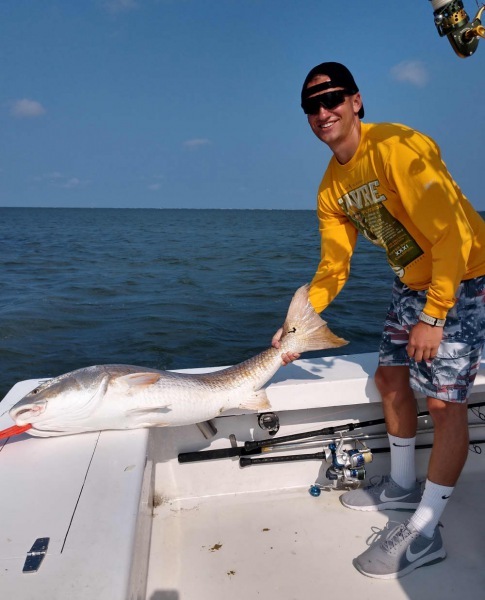 Cole Mayclim of Rye, NY released a 46" Red Drum. 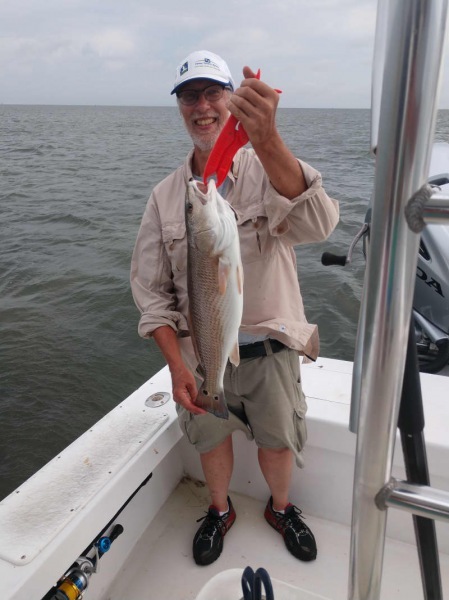 Adventure: Bob Etter of Elizabethtown, PA released a 47" Red Drum. 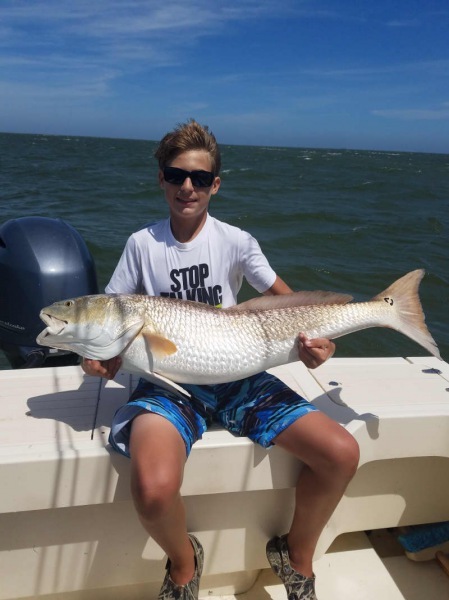 Fingeance: Zachary Nelsen of Doylestown, PA released a 50" Red Drum. 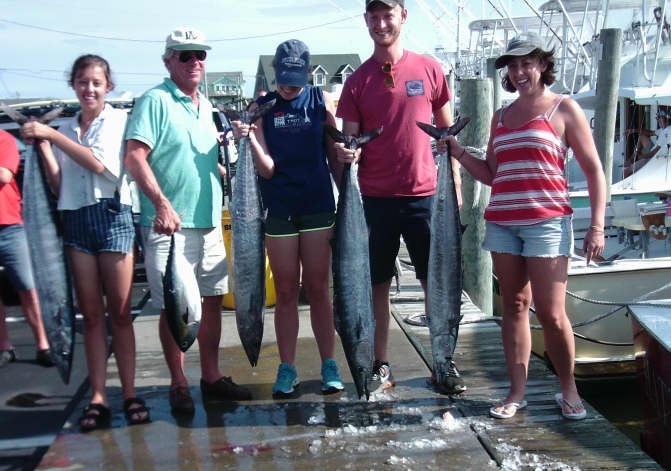 Good Times: Joseph Gallaher of Risingsun, MD caught a 40lb Wahoo. Tuna Duck: Jelinski of Mt. 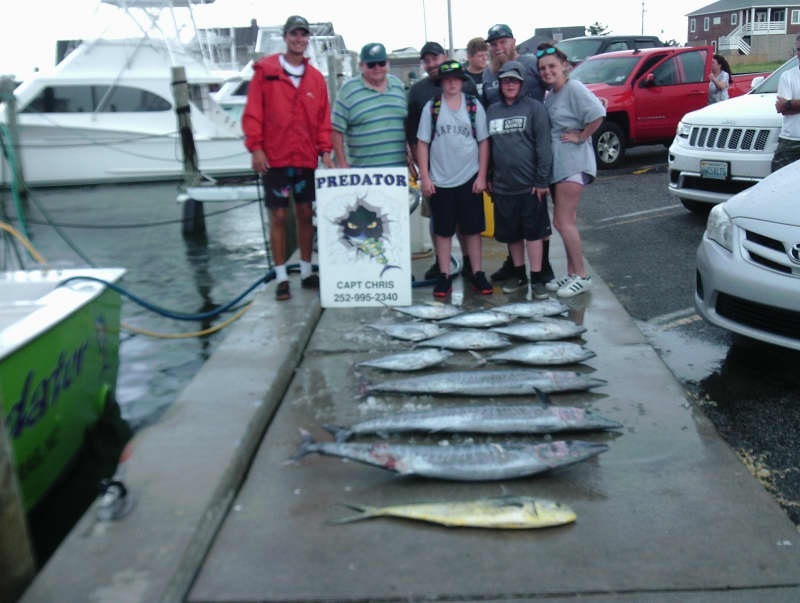 Laurel, NJ released a 52" Barracuda and caught a 41lb Wahoo. Winds blew from the SW again today making it impossible for our offshore fleet to get out. 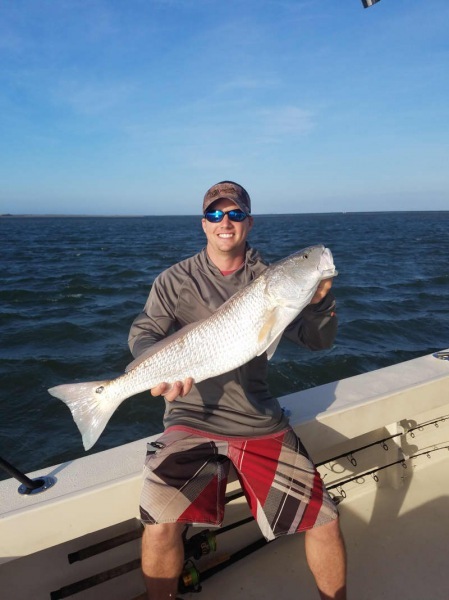 Inshore anglers kept busy catching keeper Red Drum and Bluefish. The wind is supposed to shift to the NE and that should allow our offshore fleet to get back on the fish. Check back tomorrow for the latest results. 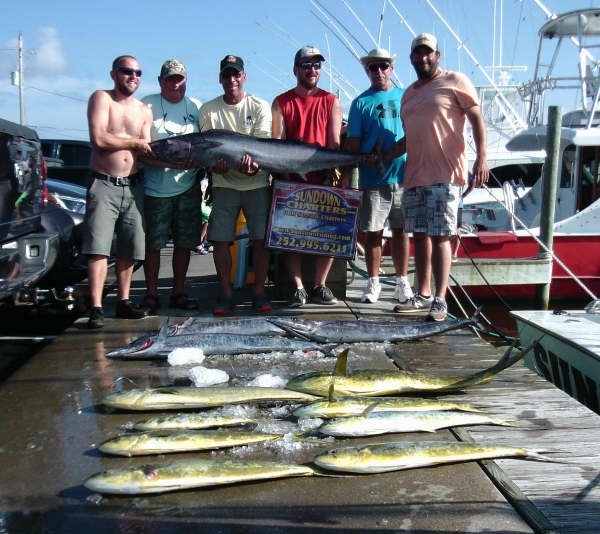 Offshore boats headed out to the gulf stream today hoping to fill their parties coolers and they didn't disappoint. 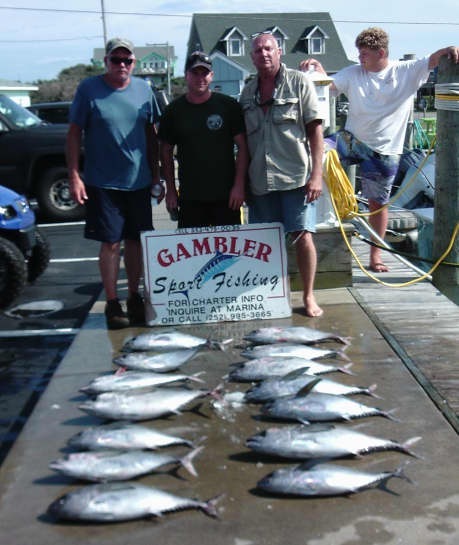 Really good catches of Blackfin Tuna along with Wahoo and a few Dolphin mixed in. 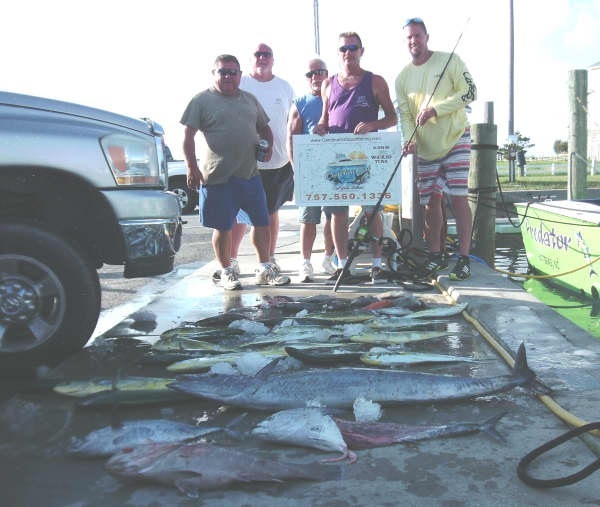 Topping off the cooler with a limit of Trigger fish made one boat happy. Inshore headed out into the Pamilco Sound in search of Drum, they were successful as well. Captains and mates geared up the morning to head offshore for the 1st time since Thursday. 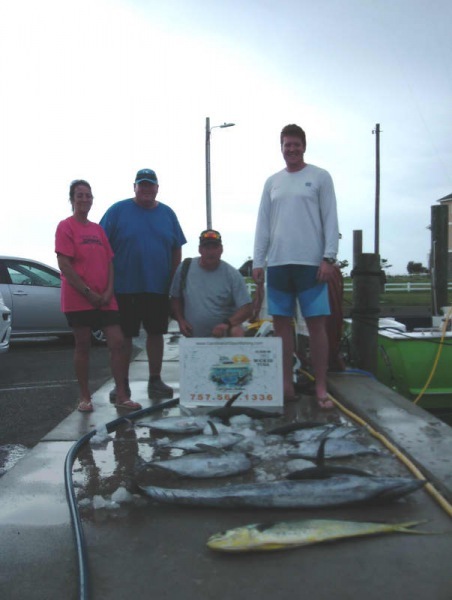 Their parties returned with some pretty good catches of Wahoo and Blackfin Tuna. 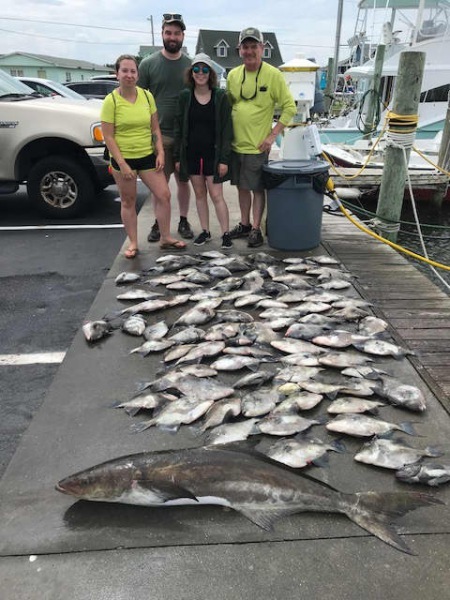 There were also some Dolphin and Sea Bass caught. Gusty SW winds and big seas kept offshore boats in yet another day. Let's hope this weather pattern switches up so we can resume fishing! Several inshore boats went out this morning. They got on some over slot size Red Drum. 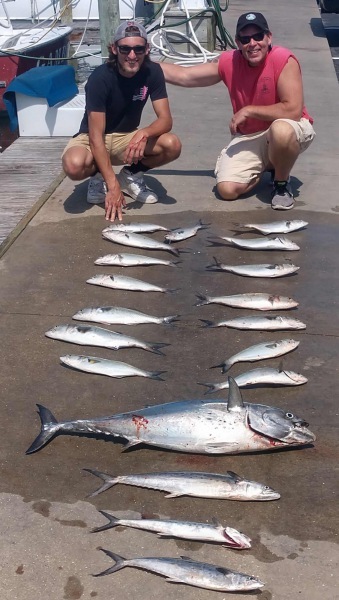 The Bluefish bite was good as well. 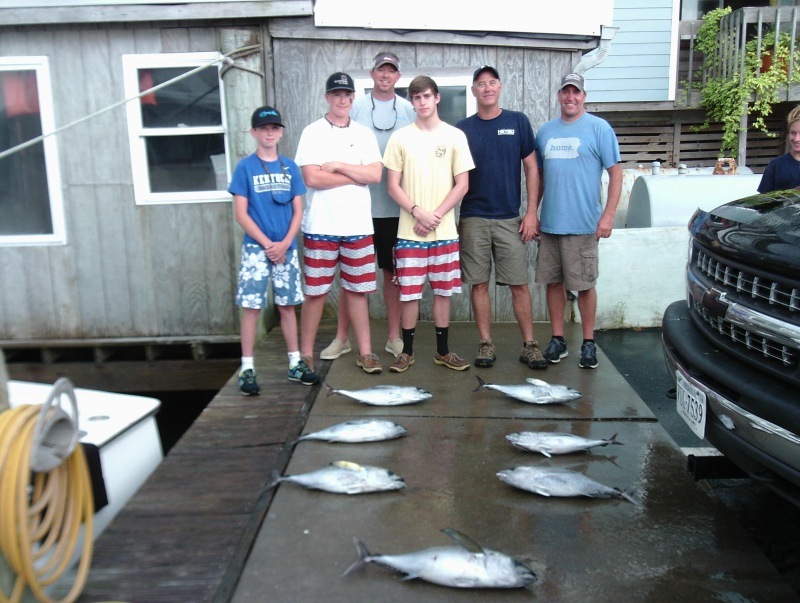 Inshore and near shore trips run in the morning and again in the afternoon. 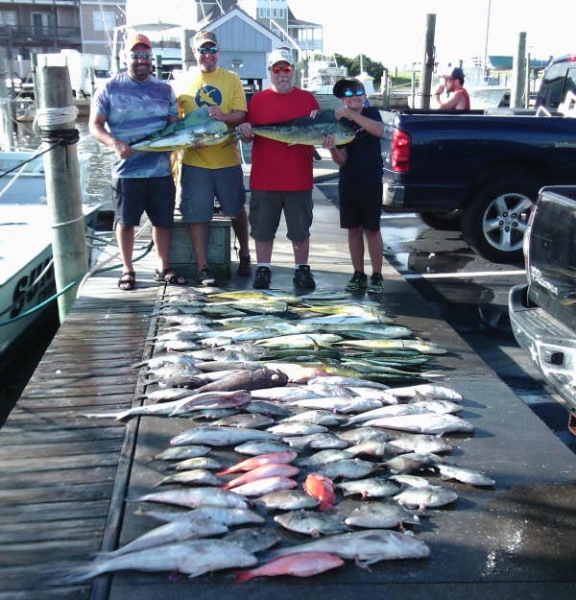 Offshore trips are a full day of fishing. Call us at 800-676-4939 for rates and information. 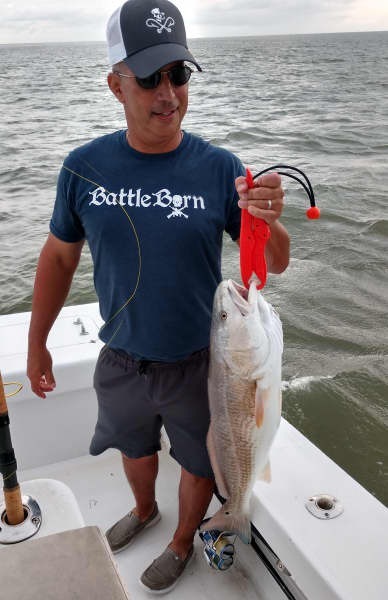 Michael Lepore of Laurel, MD: 47" Red Drum release on Fingeance.